We love to share great information with you about how to save money. However it is also important to know how to make money. There are many different things that you can be doing in your free time to earn some extra income. This extra money can be used to pay down debt, create an emergency fund for yourself or enjoy a few little pleasures in life. And they are things that you can do even if you are a full-time parent or have another full-time job. 1.Bake for others. If you are good in the kitchen then you can easily whip up a batch of baked goods and sell them at local events. Anytime someone is having a yard sale you should be out there selling your baked goods alongside them! 2. Become a coupon broker. You can actually make money by finding coupons and clipping them out for other people who want to use them. While you’re at it you will probably find a lot of money-saving coupons for yourself! 3. Become a waiter / waitress. If you are looking for a part-time job that doesn’t require a lot of experience, has flexible hours and pays well then consider working at a restaurant. A good waiter can make a lot of money in tips during every shift. 4. Care for children in your home or theirs. Babysitting, nannying and home daycares are a great way to raise extra money. This is especially nice for stay-at-home moms who want to work but be with their own kids at the same time. 5. Clean houses for some extra cash. You can work with a company or just find some people local to your neighborhood who need some cleaning help. 6. Wear a T-Shirt This could be wearing a T-shirt or simply coming up with another innovative idea www.iwearyourshirt.com is a simple idea, companies buy a day and for that day the team will wear a sponsored T-Shirt and promote your brand via social media, great idea! 7.Collect and sell aluminum cans. This is a bit time-consuming but some people find it to be a fun challenge to find aluminum cans that they can trade in for cash. 8. Crafty people can knit or crochet as pattern testers. Pattern designers need someone to test their patterns and sometimes pay for this service. Check with your favorite designers. 9. Create logos for websites. This is a smart online business that you can learn to do quickly if you are good with visual creativity. Photoshop knowledge will help with launching this moneymaking opportunity. 10. Declutter and organize other people’s homes. Many people want a more organized space but need help decluttering. They’re willing to pay for that help! 11. Design web sites. This is a job that you can do part-time from home if you are willing and able to market yourself. Everyone needs a website these days, right?! 12. Do interior design for homes for sale. If you have an eye for making a room look great then you can offer this terrific service to help people sell their homes. The home market is still tight so there are a lot of people who need the extra help to make the sale! 13. Drive around with an ad on your car. We have a whole lesson in how to do this to earn extra money! 14. Find a source for used consumer electronics. These days there is a huge turnover in items like smartphones, tablets and computers … and there is a huge market of people wanting to buy good refurbished consumer electronics. Find a good source for secondhand electronics and you could become a profitable reseller. 15. Get a part-time job as a pizza delivery driver. This is a great job that you can in your spare time to earn a little bit of extra money. You are on your own in your car the whole time so you don’t really have to deal with another boss in your life. Plus you get free or cheap pizza with the job! 16. Get a summer job. The same types of jobs that students look for during the summer months are jobs that you can do for a few months to earn some extra cash. For example you might get a job as a lifeguard or swim instructor this summer. 17. Get hired with a for-hire car-parking service. Valet work is easy and it’s easy to get if you have a good driving record. You only work for a few hours at a time and it brings you some nice extra income. 18. Get involved with CashCrate. This is a site where you can complete free offers to earn an income and you can earn even more if you are good at promoting them to others using their referral program. 19. Get registered to work as a substitute teacher. This is a flexible job that allows you to work during the school day either steadily or just now and then. 20. Go retro and get a paper route. These used to be done by kids on bikes but these days it’s usually done by adults with cars. If you have free time in the early morning then you can earn a good little income this way. Do it while you can – newspapers are quickly going out of fashion! 21. Have a yard sale. Check out our list of 20 things you can sell to get started on figuring out what to get rid of for some extra income this summer. 22. Help people plant their gardens. If you are good at gardening and can get things to grow well then you can provide this service at a fee. Many people want home gardens but just have a brown thumb and can’t make it work. 23. Learn eBay inside and out. There are numerous ways that you can make money off of eBay including purchasing items at a low cost and reselling them at a high value. 24. Learn to bartend. A job as a bartender can provide you with a significant income boost very quickly. If you are good with people and can multi-task well then you can make lots of tip money working just a few hours per week in a local pub. 25. Make money off your body parts. You can sell plasma, sperm, hair and more to earn some extra cash. 26. Open an Etsy store. If you like to craft then you can earn extra income by selling what you make on Etsy. You can also sell through other similar sites such as Artfire and CafePress. 27. Participate in local focus groups. Educational institutions, such as universities, often advertise that they need focus groups to assist them in their research. This is a great way to do something interesting while earning extra income. 28. Place items on consignment. Sell items that you make or own in other people’s stores by finding places that let you place them there on consignment. 29. Promote affiliate offers through social media. If you have a good network of people on Twitter and Facebook then you may be able to make some extra cash by promoting products to them. You can sign up to be an affiliate of numerous different sites (a well-known one is Amazon) and then use your unique affiliate link to get money every time someone purchases an item through your link. 30. Provide in-home care for the elderly. You don’t have to have nursing skills to help an elderly person who needs assistance a few hours per week with light household tasks. This is a generous way to earn some extra income. 31. Rake leaves. You might have done this for extra money when you were a teenager. It’s something to think about trying again when fall comes around this year! 32. Re-paint faded street numbers. This is a way to earn money going door-to-door in your own neighborhood. 33. Re-sell bottled water at events. Buy the water in bulk (don’t forget to use a discount code) and then sell it at events where a lot of people are out and thirsty. 34. Rent out your vehicle. This is especially good if you have a truck or van because you can rent it to people who need help moving. Of course, renting out your truck is risky so you might want to also rent out your moving services so that you stay with the truck! 35. Rent your home out to visitors. You can rent out the whole home or a portion of the home through various channels including sites such as AirBnB. 36. Search Craigslist’s “odd jobs”. There are all sorts of things that people need help with and they are willing to pay. You can do everything from edit a resume to paint someone’s house and make some extra cash. The nice thing about this option is that it provides lots of varied ways to make some extra money. 37. Sell digital photos to microstock photo sites. If you are handy with a camera then you can earn a bit of income with a really fun hobby! 38. Sell rides to the airport. If you offer a ride that’s cheaper than local cabs or shuttles then you can easily make back your petrol costs selling airport rides to your friends and their friends. 39. Sell what you know. You can tutor, teach English to foreigners or do consulting work in your field and make a nice living while helping others learn what you already know. 40. Spread the news about events. You can find jobs posting fliers or doing social media for events on sites like Craigslist. 41. Start a profitable blog. There are numerous articles online and books dedicated to teaching you how to make money with blogging. If you enjoy writing and like blogs then you’d be a good candidate for learning this moneymaking skill. 42. Take advantage of cash bonus offers. You can get cash bonuses for getting a new bank account or signing up for a new credit card. As long as you do this responsibly then you can use it as a way to make extra money here and there. 43. Take care of people’s pets. Petsitters and dog walkers are in high demand these days. You can do this casually in your neighborhood. You can join a company that is doing it formally. Or you can start your own pet care business for extra income. 44. Teach a virtual class. For example, you could teach a yoga class online through video conferencing. 45. Trade freebies to make money. There is an entire industry around this unique moneymaking opportunity. Does it interest you? It is certainly a way to make money! 46. Try your hand at ad-writing. You don’t have to have experience as long as you are good with words. Just look for poorly written ads on sites like Craigslist and contact the ad writer saying that you offer the service of high-quality ad re-writing for a small fee. You can do this whenever you have spare time and earn a nice bit of extra money. 47. Try your hand at freelance writing. 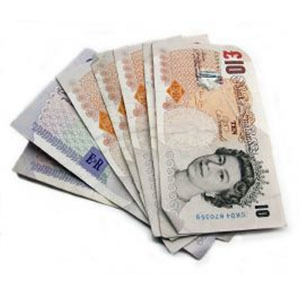 You can earn money writing for magazines, websites or blogs. You can start looking for jobs on sites like Elance. Or you can write articles for a site like HubPages and earn passive income through ads that are placed on the site. 48. Use Upromise for creating a college fund. You sign up and then do your normal shopping and a portion of the money spent on shopping automatically goes into a college fund for your kids. 49. Wash cars. There is nothing like having a good old car wash in your neighborhood to raise some extra cash. This is great if you are seeking to raise a specific amount for something special, such as going on holiday. 50. Work at weddings. There are numerous jobs at weddings that you can do if you have a little bit of talent. Play the music, take the wedding portraits or help cater the event. 51. Write and market an e-book. If you have knowledge to share with others then a profitable way to do so is to create an e-book. You will have to put some time into marketing it but it can be a great source of ongoing passive income. 52. Write product reviews. The number of websites that will pay you to write product reviews for them is almost countless. If you’ve got good copywriting skills then you can make a nice income from this activity. How are you going to earn extra income this year? Boost your babysitting business by building a network of the families you know and their friends. Free social network connecting parents and trusted sitters! Morgan, Editor Morgan Woods is our money saving and money-making queen. She knows where to shop for the best deals and knows every trick in the book for making money. From online surveys to selling on auction sites, Morgan’s your woman. Morgan loves sharing her tips and hopes to help lots of others manage their money wisely. Kayleigh, Editor Kayleigh is a Coupon Fairy and a mother of two beautiful boys. She loves bargains, coupons and all things money saving. She enjoys sharing her tips and experiences so others can save too. Lizzie, Editor Lizzie loves nothing more than to write about fashion, beauty and all things homely. While she furiously shops online for the latest trends, she bakes cupcakes and sips endless amounts of tea. Kristin, Editor Kristin loves writing about fashion, books, shopping and beauty. Her favourite city is London and she loves to hunt down a deal in the capital! Christine, Editor Christine is a money saving fiend. She loves nothing more than scouring the net for discounts and gets a buzz from digging out those 'hard to find' bargains' for our lovely users. shem, Managing Editor Shem is all about travel and she will talk and write about it at every possible opportunity! She also loves fruit beers and going to gigs. Heather Stanger SAYS: Please enter me in the prize draw!! Heather Stanger SAYS: hi Natalie your blog is now in my favourites and check it before I do my weekly shop. Copyright © 2007-2019. MH Sub I, LLC dba Internet Brands. All Rights Reserved.